As usual in Iowa, we were worried about the weather, but the late September day turned out perfect! 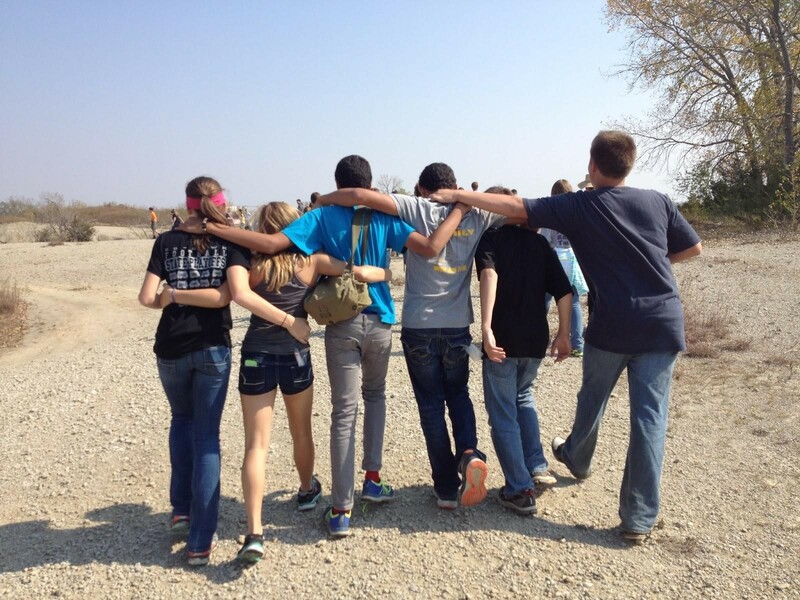 Three teachers at Waverly-Shell Rock High School took nearly 200 students and 17 parent chaperons on a field trip to the Rockford Fossil and Prairie Park, about 50 minutes’ drive from our school. We were originally thinking that it would just be a great addition to our Unit 4 and Unit 5 studies. But as we researched the site in planning for our field trip activities, we began to realize that it was an even more valuable opportunity than we had thought. Every individual was assigned to find at least 20 fossils from as many different classifications as possible. Back in the classroom, students cleaned and identified their fossils to the level of phylum or class. 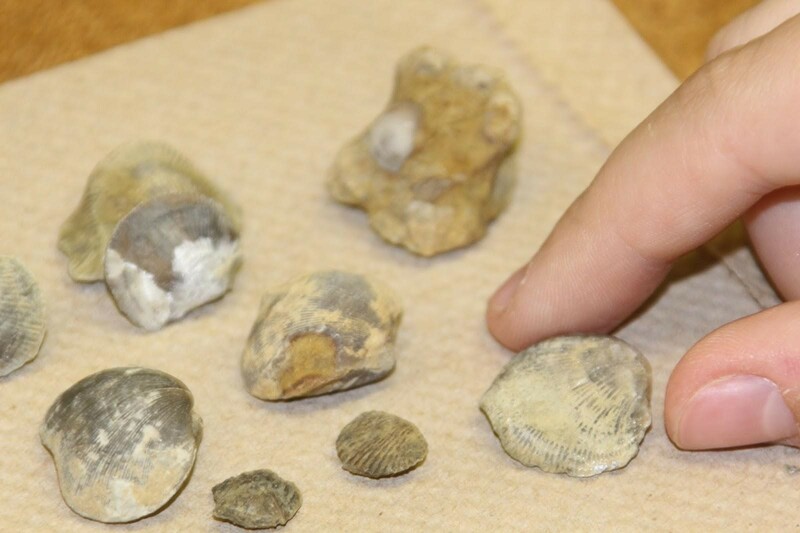 When our data was shared, we had cataloged over 3,000 fossils, about 2,100 of which were brachiopods. A few students found fragments of nautiloid cephalopod fossils, which are quite rare at Rockford. Our students put the class data in context by researching the living relatives of the fossil types and using their findings as evidence to show how we know that Iowa was once under the sea. The trip also provided our students with experiences and evidence for at least four thresholds of our local Big History: 1) the origin of the bedrock in the inland seas of the Devonian Period; 2) the filling and leveling of the landscape with glacial drift during the Pleistocene Ice Ages; 3) the coming of the tallgrass prairie ecosystem after the Ice Ages; and 4) the conversion of the landscape to agriculture during the last 170 years. When we recognized the rich potential of this experience, we decided to use the field trip and the collections the students made as the starting point for a place-based PBL unit we are calling the Little Big History of Iowa. Students will be creating projects for audiences outside of the classroom. For example, they might design a page about the trip for the school yearbook, an article for the local newspaper, a documentary video to use in introducing the trip to next year’s classes, a picture book for local elementary students who are studying fossils, or they could suggest another project format that meets the requirements. As they get further into the creation of their projects, we’ll share more of their progress. We hope that our students will find and explore many connections that cross all of our local thresholds. For example, the site provides excellent access to fossils because it is an abandoned quarry. As you climb down into the quarry pit, you pass a restored tallgrass prairie and then climb (or slide) down thick layers of soft, gray, fossil-bearing shale. The shale was mined until 1977 to produce clay, which was shaped and fired to make clay drain tile. This was used to drain wet prairie soils, increasing crop yields and helping to make Iowa a major agricultural state. Three teachers at our school, along with two special education co-teachers, are piloting BHP as the central curriculum for our freshman first semester earth science and second semester biology courses. We pooled our BHP classroom budgets to pay for the transportation for our trip, and we are glad that we did! We are very grateful for the support. It allowed our students to collect and analyze their own evidence for the Big History of our place. These are Iowa kids who will grow up knowing that there is more to their home than corn, soybeans, and hogs!